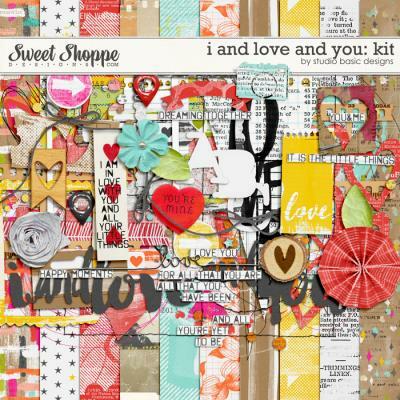 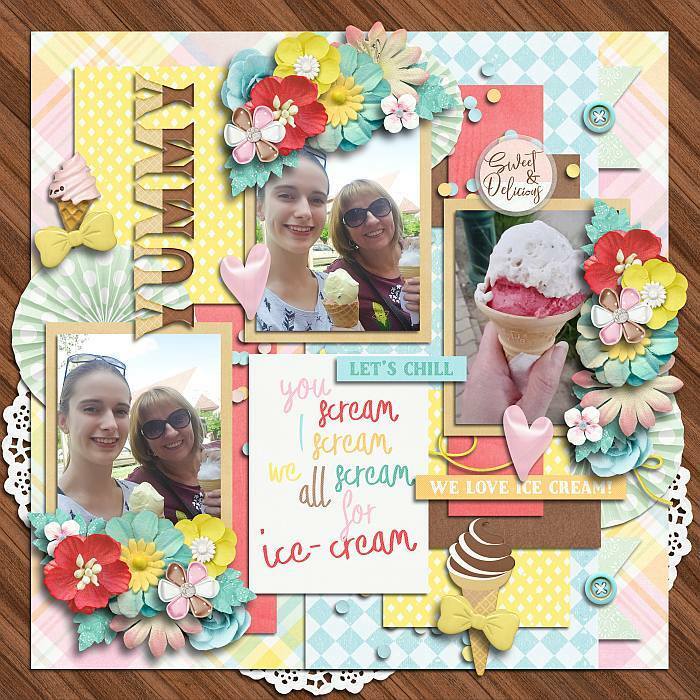 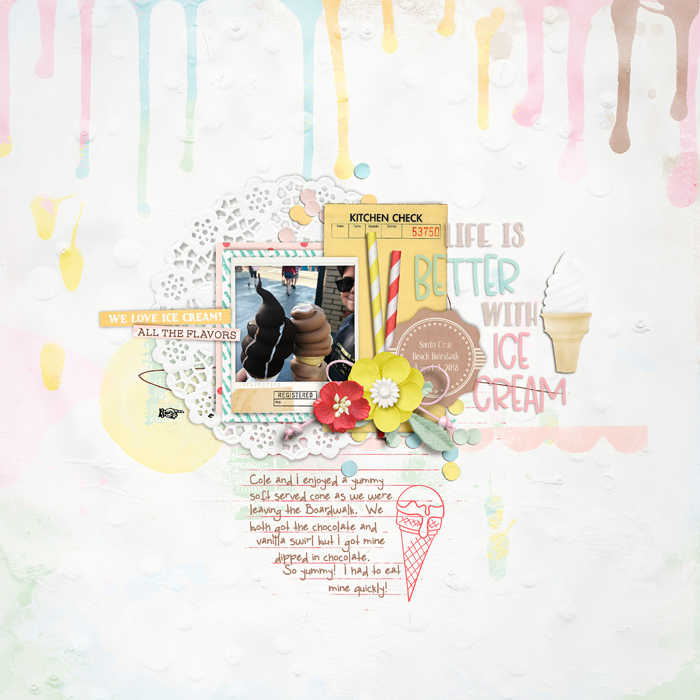 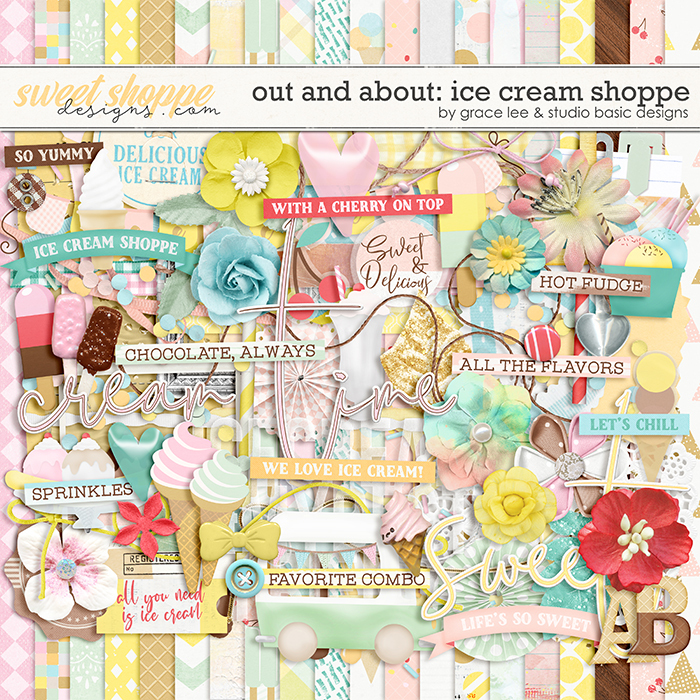 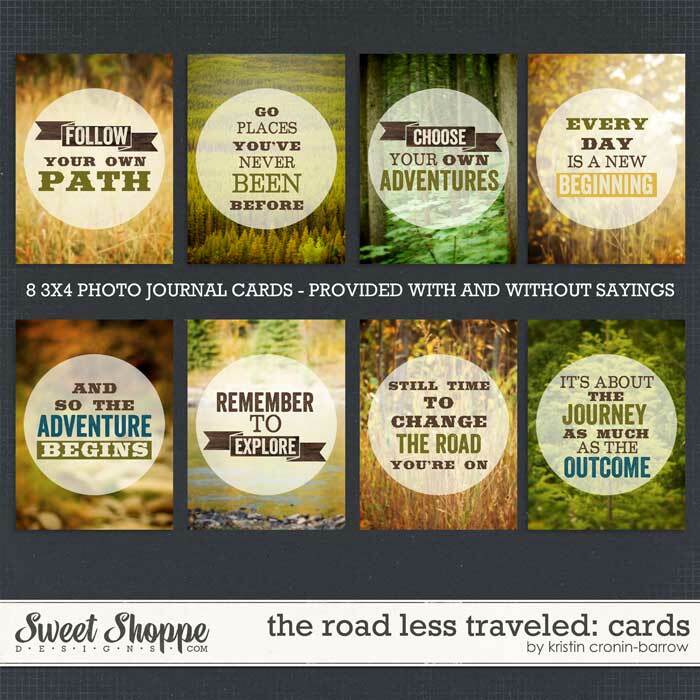 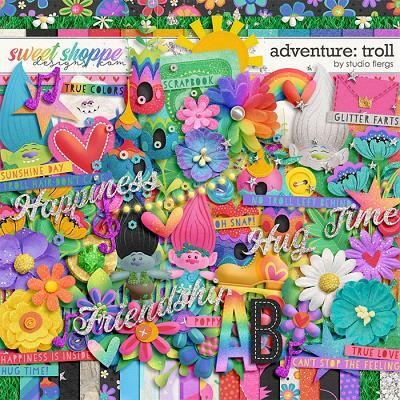 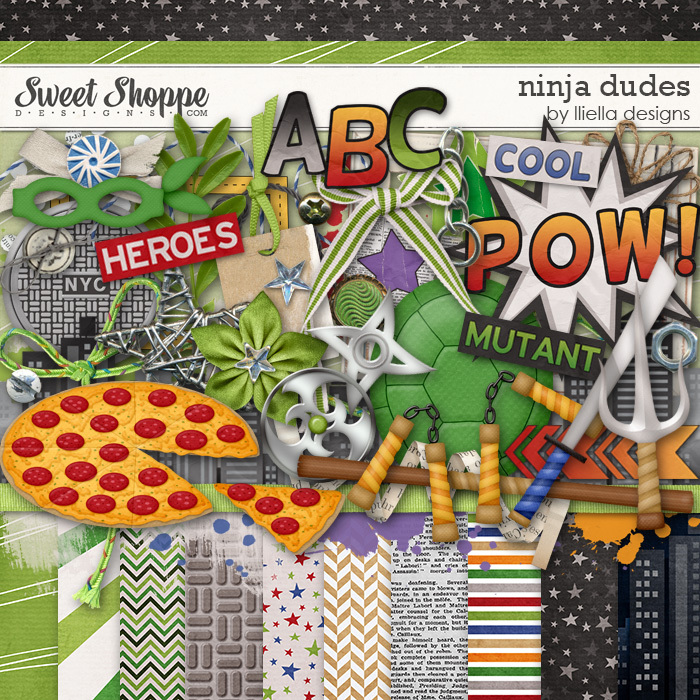 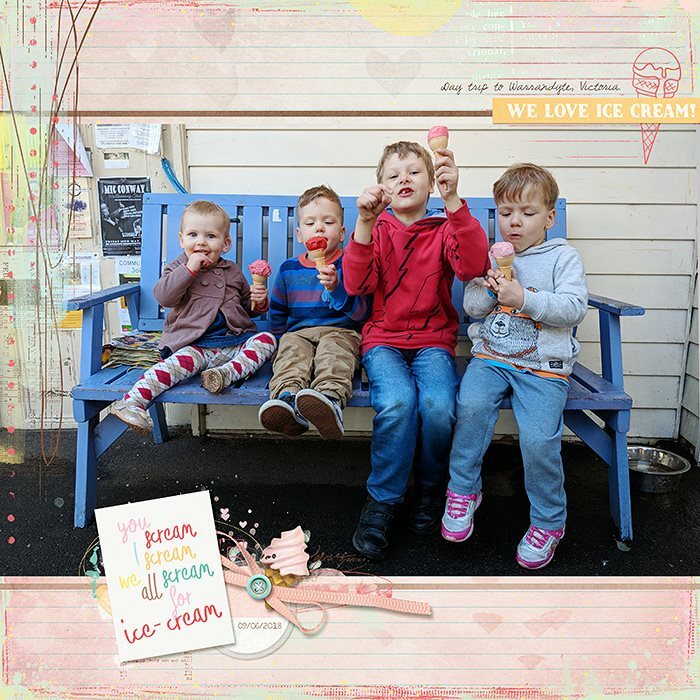 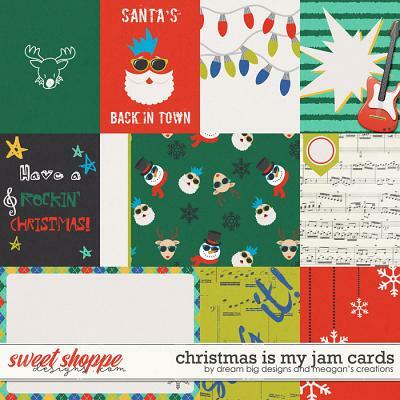 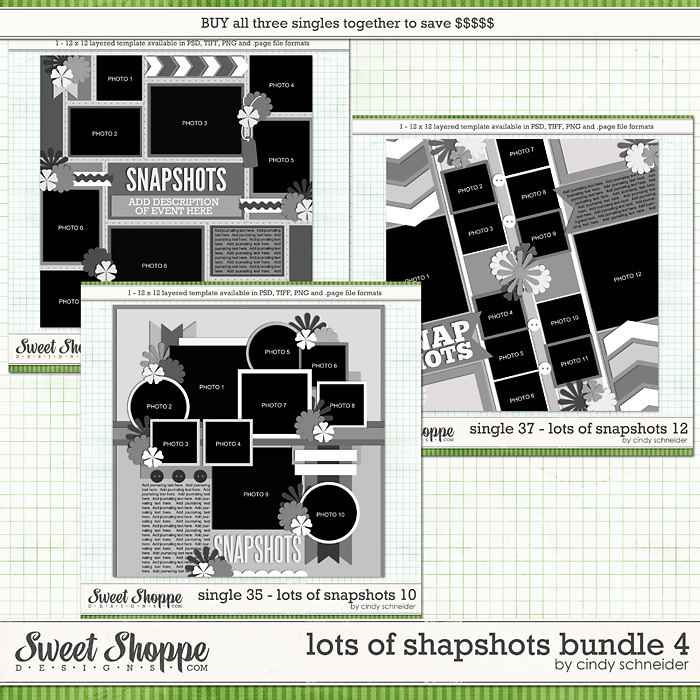 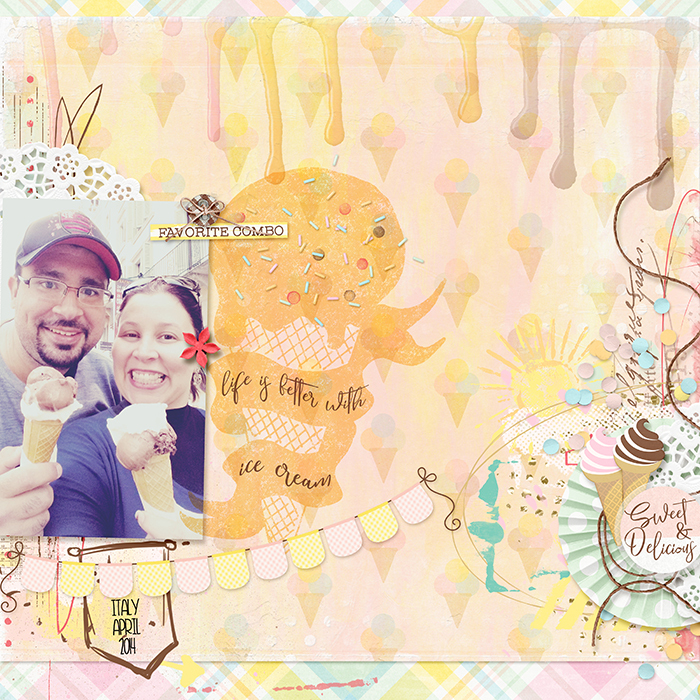 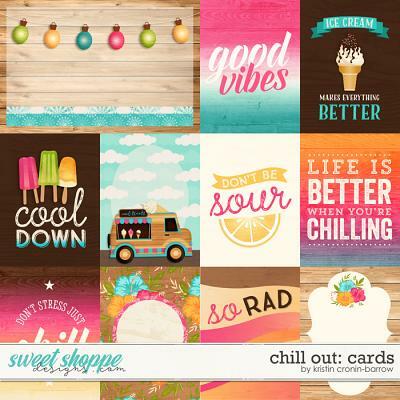 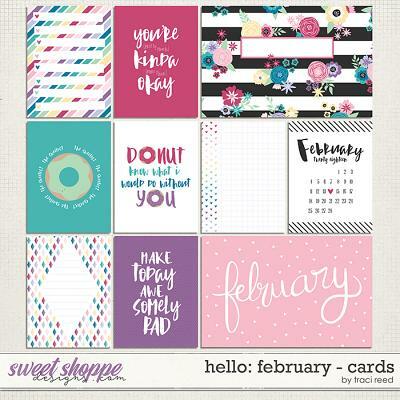 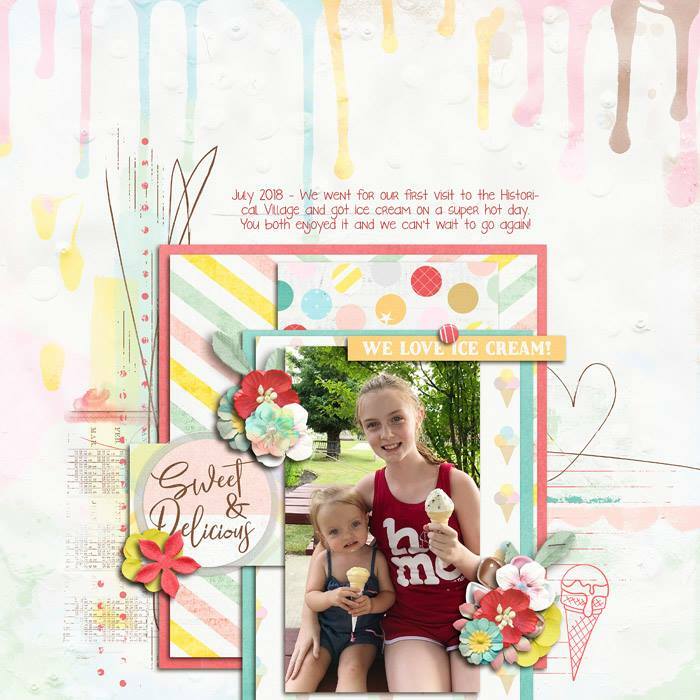 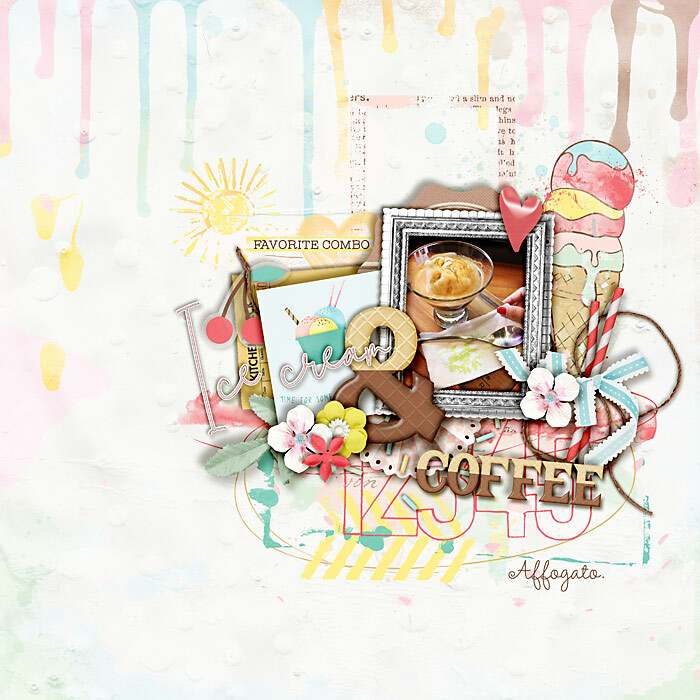 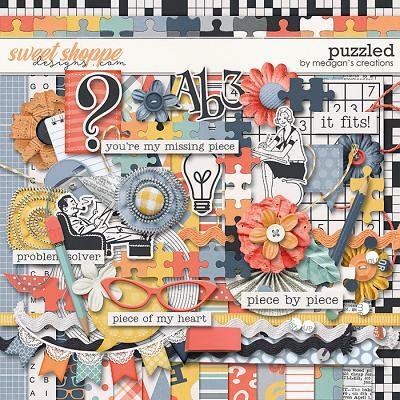 A digital scrapbooking collection by Grace Lee and Studio Basic, Out and About: Ice Cream Shoppe is the tastiest offering of this series so far! 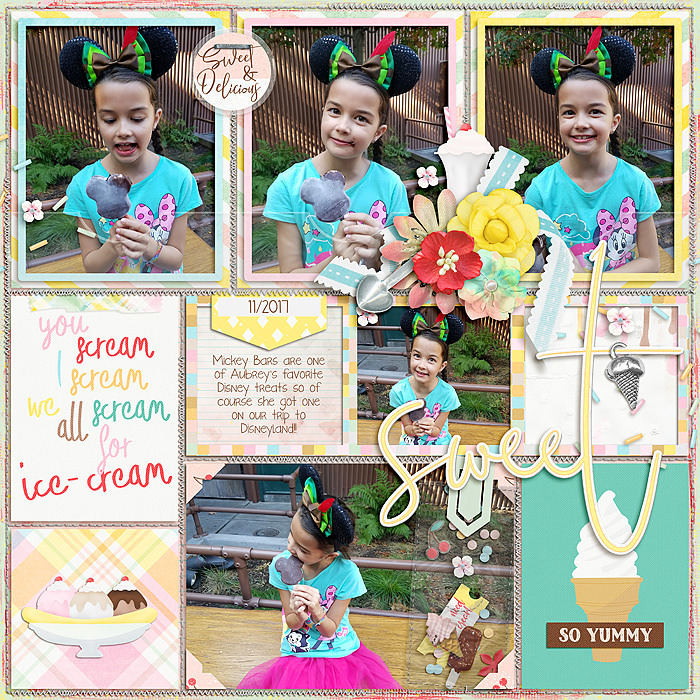 Who doesn’t love ice cream? 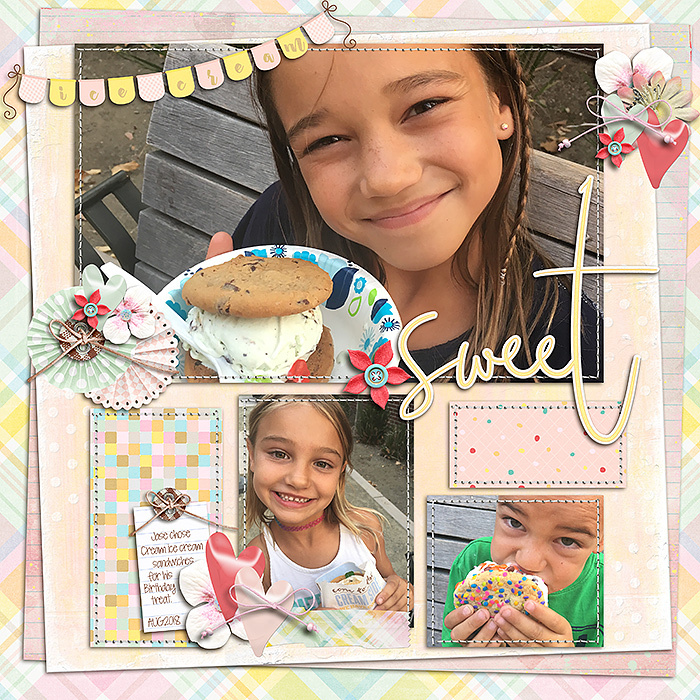 Capture your summer memories of chasing down the ice cream truck or stopping for a yummy sundae with beautiful pastel papers and elements. 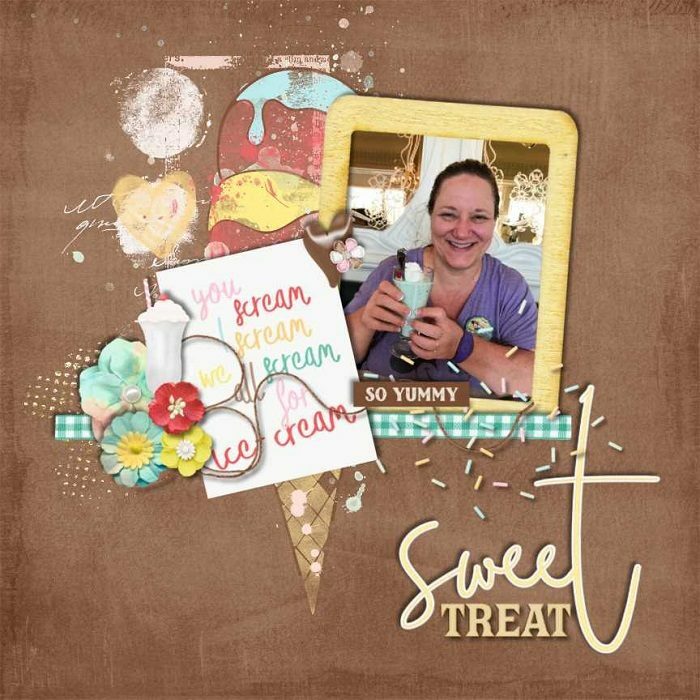 Of course, ice cream is delicious all year round, so this collection is perfect for documenting all of the luscious indulgences that keep our lives so sweet!